It has been years since Windows 10 was released, yet according to the statistics from StatCounter, almost 39% Windows users are using the version of Windows 7 for desktop. And Microsoft will provide support for Windows 7 until January 14, 2020. What’s more, Windows 10 has removed Windows media center and doesn't natively support DVD playback, but Windows 7 still enables you to play DVD with its built-in DVD player. It’s no wonder that the version of Windows 7 is still popular. Since more and more people are inclined to rip DVD to computer Windows 7 so as to play and store DVD movies on PC handily, a specific DVD ripper that is well compatible with Windows 7 is necessary. There are various DVD rippers on the market but their capabilities are varied. As the DVDs we purchased are encrypted with kinds of copy protection approaches like Region Code, Multi-angle and DVD CSS, a powerful Windows 7 DVD ripper that can easily bypass all the DVD copy protections can be helpful. WonderFox DVD Ripper Pro is a good solution to solve how to rip a DVD on Windows 7. 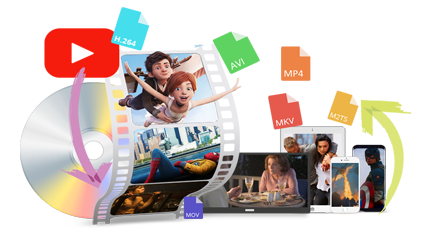 It enables to rip any copy protected DVDs and convert DVD to MP4, AVI, MKV, WMV, etc. 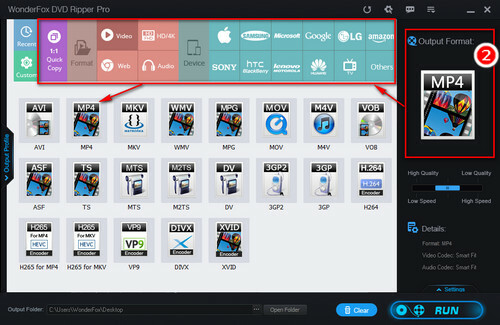 Moreover, you can use it to make exact copy from DVD since it offers 1:1 DVD to ISO image/DVD folder quick copy feature. WonderFox DVD Ripper Pro keeps update timely to deal with the latest DVDs. It is well compatible with Windows 7 and promise the quick and smooth operation. Importance: It is illegal to duplicate or distribute any copy-righted content. This guide is only for personal legal usage. Before start, please free downloadfree download the DVD ripper and install it on PC. Insert DVD disc into your computer DVD-ROM drive. Open WonderFox DVD Ripper Pro. 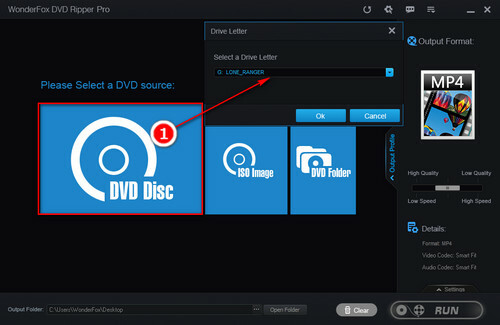 Click on “DVD Disc”, select the needed drive letter and click on “OK”. The software will automatically detect and analyze the DVD, remove the copy protection and mark the main title. You can also rip ISO image and DVD folder with this software. Click on “Output Format” on the right and select the desired output format. For example, you can select ISO image under 1:1 Quick Copy tab to create ISO from DVD, or choose a digital video format under Video tab, such as DVD to MP4, DVD to AVI, DVD to MKV, etc. 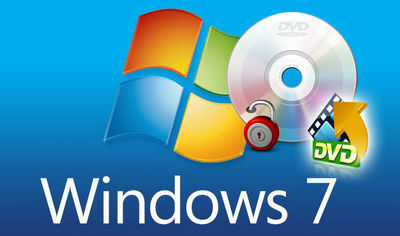 Besides solving how to rip a DVD on Windows 7, you can also transfer the movie files to your mobile devices. The optimized presets for iPhone and Android phone are offered so you only need to choose your device model. Tips. If you expect higher output video quality, you can open the Settings window, where you can change video resolution, bit rate, frame rate, encoder and more other related parameters. Specify an output path and click on “Run” to start to rip DVD Windows 7. WonderFox DVD Ripper Pro supports hardware acceleration and, virtually, it only needs minutes to rip a 150 minutes DVD to common digital video formats. The output video quality is exact the same as the original one. DVD Ripper Pro is deigned to rip DVD digital videos/ISO image/DVD Folder on Windows in the most straightforward way. With the support for GPU and CPU acceleration, DVD Ripper Pro ensures the high ripping speed. It’s surely the fastest and simplest solution to solve how to rip a DVD on Windows 7. 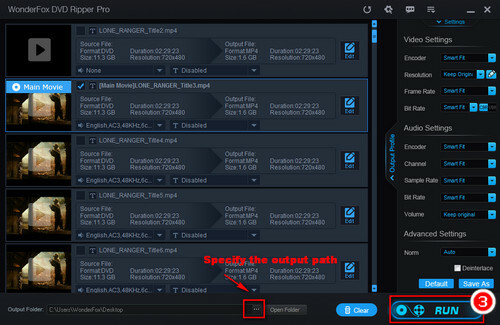 Moreover, you can use it to compress DVD, rip audio from DVD and add subtitles to DVD. It combines DVD ripper, video converter and downloader into one. With the versatile software, you can rip a DVD, convert any video to over 300+ formats and devices, download YouTube video and playlist on Windows with ease.